The goal here is to provide a place where the education community can easily locate and view their state tag, even if just to lurk in on the conversation. Want to be sure your tweet is shared with the right group of users? There's a hashtag for that — if you can find the right one. Hashtags have become synonymous with Twitter, serving to filter what can otherwise be a wide array of difficult-to-categorize information. Users can join any conversation on the platform by adding the appropriate hashtag to their tweet. The problem is knowing which one to include. With tagboards you see the whole conversation, across networks, making them the perfect hub for social media. Lucky for all of us, there’s an incredible live Google Doc available to the public from Chiew Pang (@aClilToClimb) that lets you help build a useful database of helpful hashtags. Here is a printable list of two dozen of the most popular education-related hashtags for K–12 and higher education. Originally compiled by the editors of Edudemic and Online College Courses, the list is color-coded and includes a key to help you decide how and when to use each one. Spam in Twitter Hashtag Chats ... what does it look like? Twitter has become a massive hit in education and it’s too big to ignore. So that’s why we helped assemble the 2012 A-Z Guide To Twitter Hashtags. It’s been an invaluable resource for educators around the world. As the #edchat archivist, the one question I receive the most is "How do you archive all of those tweets?" The answer is actually pretty simple, I use an application called The Archivist and Google Drive. We got so many additions and updates to our 2011 list we thought it was time to bring you the most up-to-date list for 2012. 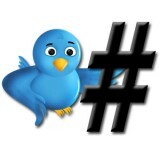 So, without further ado, here’s the 2012 A-Z list of educational Twitter hashtags. We went through all the comments on the 2011 version, wrote down all the Twitter and Facebook updates, and compiled this list over the course of several months. What follows is our best effort to bring you the biggest and baddest list of hashtags. When having a Twitter #hashtag chat, if you want to avoid overwhelming your followers, start any tweet you want to “hide” with @HideChat or (one character shorter) @HideTag. We chat every tue 8-9pm SG time b4 #edchat. Topics polled day before till 1 hr b4 session. #edsg was launched at the e-Fiesta in NIE on 15 February 2012 but it was conceived much earlier by two teachers @tucksoon and @shamsensei. These two teachers had participated in the international #edchat but wanted something with local flavour and a more reasonable time to meet for 'live' chats. One Educamp, a conference presentation, and a sharing session at e-Fiesta later and #edsg was born. #edsg is also used by other stakeholders who want to share information with educators in Singapore. But there is a faithful group that tunes in every Tuesday, 9 to 10pm (Singapore time, UTC+8) for topical chats. The biggest problem of the internet is finding what you are looking for among all the noise. Tags/hashtags are a very useful help to bring some order to the content you want to find, but as free as they are finding the most relevant tags for you can by a hurdle in itself. My goal with hashtagify.me is to use the best analysis and visualization technologies I know to create a useful tool to find your way among Twitter hashtags and, in the near future, to the content related to them. Keep yourself updated following @hashtagify on Twitter. If you’re teaching homeschool, you may already be using Twitter to keep in touch with friends, family, and other homeschoolers. But did you know that there are so many resources available through the messaging service? By simply following hashtags, you can get connected with discussion groups, resources, advice, and more. Check out these hashtags to get help with homeschooling and so much more. A weekly twitter chat (#isedchat) on Thursdays at 7pm EST for Independent School educators. We will post a twtpoll each Friday to choose the topic for the following week's chat. "One of the wonderful things about Twitter is the way it brings people from all over the world together to share ideas, collaborate and work to make education better. On this page I have included some educational chats." "When Shelly Terrell and I first discussed the idea that spawned #Edchat neither of us had any idea what it would become. It started as a place to begin, conduct and record some thought-provoking discussions about topics in education that we had an interest to discuss. We created the hashtag, #Edchat, selected a time, contacted Steve Anderson for techy help, and we were off and running." Twitter Chatting using hashtags or Second Life? #lrnchat is an online chat over the social messaging service Twitter that now happens twice every Thursday: first at 11:30-1pm EDT/4:30-6pm BST/5:30-7pm CET and then again at 8:30-10pm EDT/5:30-7pm PDT. The new earlier #lrnchat is tailored for those in parts of the world asleep during the original later one or for whatever reason simply prefer an earlier time. There is no expectation that someone would participate in both though you are welcome to do so. Participants are people interested in the topic of learning from one another and who want to discuss how to help other people learn. Our focused #scichat discussions have been fantastic. In between these discussions, the #scichat hashtag has also helped many of us with sharing science ed resources. #scichat provides a way for scientists and educators to engage in an ongoing discussion with the goal of sharing ideas, growing professionally and improving the teaching of science. This “hashtag” can be used at any time to share your thoughts or resources with other science educators. However, the real power of #scichat is to develop a community through real-time events every other Tuesday night (9:00 Eastern). The topic for each event will usually be selected in advance by the community. We will also occasionally have #scichat special events and Twinterviews. #elemchat was created to provide elementary school educators a venue for discussing issues and strategies that are specific to teaching in the elementary school context. Every Friday at noon and 7:00 p.m. (EST), parents, teachers and gifted advocates from all over the world gather on Twitter to take part in global #gtchat. This new real-time forum allows participants to share resources, ideas, experiences and new ways of thinking about gifted issues. The collaboration and learning taking place via #gtchat have been invigorating and inspiring! We invite you to give it a whirl. #blogchat is a weekly conversation that takes place every Sunday nite starting at 8pm Central, on Twitter. Each week we discuss a different blogging topic. The first #blogchat was in March of 2009. The first #blogchat went on for a couple of hours, and was an instant hit! Everyone wanted to make it a weekly affair, so I decided to have a #blogchat every Sunday nite, at the same time! The chat is now one of the most popular on Twitter, and each week we have a couple hundred active participants, and well over 1,000 tweets! WTH?! is powered by MediaWiki, which allows us to open up authorship to everyone who wants to participate. Our bot actively monitors Twitter for trending hashtags and creates new pages as they grow in popularity. Then it's up to the users (you!) to fill in the details. BlipSnips makes online video awesome. Use BlipSnips to link your friends right to the good stuff. Explain every snip in your own words, and share your BlipSnips tags with any social network. Find out who else is tagging what, where. Or even just save your place in a long video (like a bookmark!). At BlipSnips, we're building tools that transform the online video experience, making it more searchable, more engaging, more contextual, more personal. And we're just getting started. BlastFollow enables you to follow Twitter users who share your interests en masse. This web site is a production of Triangle Information Solutions. To use BlastFollow, simply enter a favorite hashtag (for example, "americanidol") in the box. Then, click the "Get Users!" button. After a few seconds, you will see the number of users who tweeted with that hashtag recently. Then, you need only enter your Twitter name and password and click "Blast!" You will start following all of those users. You can usually see the progress on a user-by-user basis. Today, text clouds are primarily used for navigation and visualization on Web 2.0 sites that employ user-generated metadata (tags) as a categorization scheme. Keotag : Search Tags across lots of different websites.